If you're in need of an attorney but unsure where to start, we're here to help. Click here for 8 questions to ask before hiring Canadian immigration lawyers. 272,666 people immigrated to Canada in 2016. Many of them were able to do this without the help of a Canadian immigration lawyer. But for everyone admitted as a citizen without any problems, there are those who were not able to enter the country. There are many reasons for this. Some spouses cannot provide accurate proof that their marriage is real and not a "green card marriage." Some people are barred from the country based on past crimes. Still, others have been waiting for their permanent residency card when an emergency threatens their status. That's why Canadian immigration lawyers are so vital for immigrants. They specialize in the immigration process and are here to help you in your unique circumstances. But before you hire a Canadian immigration lawyer, there are some important things to consider. 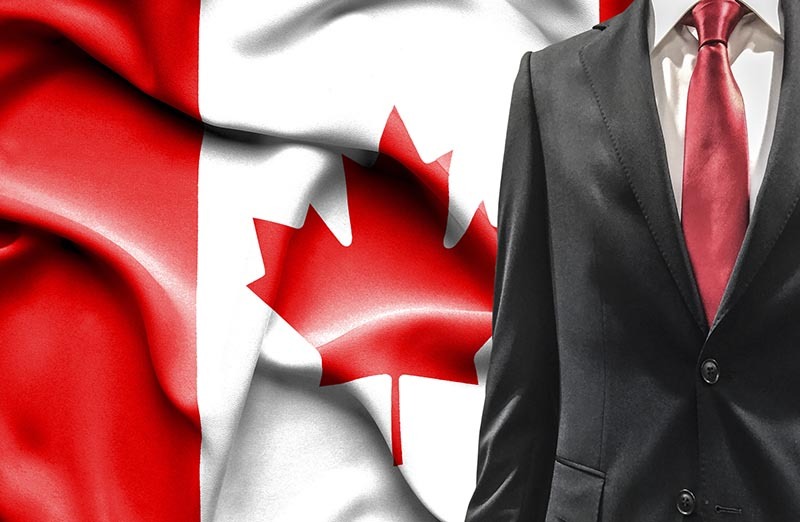 Here are 8 questions to ask yourself before you hire a Canadian immigration lawyer. Before you hire an attorney, here are some of the questions you need to consider your situation. 1) What is the Process for Becoming a Canadian Citizen? Before contacting a Canadian immigration lawyer, you need to understand what the Canadian citizenship process is. In order to become a citizen of Canada, you'll need to apply as a permanent resident first. There is a difference between a permanent residency visa and a temporary residency visa. Permanent residents get their visas with the goal of becoming a citizen. There are instances when temporary residency holders should contact Canadian immigration lawyers. These include work visa issues or student visa problems. Canadian immigration lawyers can help in all cases but are rarely needed by temporary residency visa holders. This means you are either a family member of your Canadian sponsor or working in the country with a work visa. 2) Who is Involved in Your Case? Your child dependant, 22 years old or younger. Your child, 22 years old and up. They must be dependent on you financially. They may be unable to support themselves because of a mental or physical condition. Your spouse or common-law partner's dependent child. Unfortunately, that means you cannot sponsor the following family members. When dealing with children who are in your custody because of divorce, adoption, or other special circumstances, you will want to contact a Canadian immigration lawyer for guidance. 3) What is Your Current Immigration Status? Before you contact a Canadian immigration lawyer, clarify what your immigration status is. Are you applying for a permanent visa without a work visa? Do you need help navigating the waters of family immigration? Even if you are already living in Canada as a temporary resident, there are laws and individual circumstances that can force you to seek counsel. Make sure you have all the information on hand before you contact an immigration lawyer. The more information you can give them about your situation, even if it's not ideal, the more they will be able to help you. If you're unsure about giving your lawyer this information, remember that your lawyer is bound by attorney-client privilege. This means that any details you give them will remain confidential unless otherwise indicated. 4) Why Should I Hire a Canadian Immigration Lawyer? You're probably wondering why you should even contact a Canadian immigration lawyer in the first place. There are lots of people who successfully apply for Canadian residencies and visas without a lawyer's help. But before you dismiss the idea, consider a few things. If you're applying for a residency and are not confident in your English language abilities, then having a lawyer guide you through the application process can be priceless. They can not only help you gather all the information you need, but they will protect your rights as an immigrant. Also, consider how specialized your situation is. If you're applying for a residency as a sponsored spouse, but have seen no movement in your process, then consulting a lawyer could be incredibly useful. If you're involved in a nasty divorce proceeding with children, then it's a good idea to contact an immigration lawyer as well as your divorce lawyer. Even though there are many resources for those who want to become citizens of Canada, the process can be slow and confusing. One missing document can throw the whole thing into confusion, resulting in delayed visas or outright rejections. While you don't need a Canadian immigration lawyer, having one can be the difference between sleepless, stressful nights and a smooth immigration process. Once you're ready to contact an immigration lawyer, here are some of the questions you should be prepared to ask them. 1) What are Their Credentials? To become a lawyer in Canada, your lawyer needs to complete 2-4 years of an accredited law program. They should have received a law degree from this school, then they have to complete a period of articling, a bar admission course, a bar exam. On top of that, they must have a license to practice in the province where they are working. If your lawyer does not meet all those requirements, you should seek counsel with someone else. When you're selecting your lawyer, it doesn't really matter where in the country they practice law. They can be from any province, but choosing a lawyer who practices near you is a good rule of thumb. The only place where you need to hire a specific lawyer is in Quebec. Because Quebec has its own immigration policy, your lawyer must practice law in Quebec. 2) How Long Have They Been Practicing? As a client, you want a Canadian immigration lawyer who has at least 10 years of experience. Ideally, all ten of these years should be in immigration law. Don't hire anyone with under five years of immigration law experience. If your lawyer is working at a large firm, ask them how long they've been working with the firm and what their experience has been. You'll want to work with a firm that has a good reputation for treating their clients well and winning cases. 3) Have They Handled Cases Like Yours? Experience as a lawyer is important, but so is experience with cases like yours. You want to know that your lawyer has the information they need to help you all ready to go. For example, if you are a divorced mother with a child in joint-custody, you'll want a lawyer experienced in immigration law as well as family law. Keep in mind that the family laws in your country of origin might be different than in Canada. Similarly, a Canadian immigration lawyer who's had several clients from your home country will be aware of what cultural and legal matters are in play with your visa. Nothing will be able to take them by surprise. An experienced lawyer will be able to recall their years of law practice and give you a thoughtful answer. They might even be able to recall specific examples of cases where your situation applies. However, don't expect a definite "yes" or "no" from your lawyer. If you were dealing with definite answers, you probably wouldn't have contacted them in the first place. Still, expect them to remain hopeful and helpful. They're experts in this field. If you're working with a law firm, then there's a slight chance that the lawyer you're speaking to is not the one who will represent you. If that is the case, then feel free to ask to meet with the person representing you. Don't be afraid to ask them all the same questions you've already asked. If you're uncomfortable with the person you've met, then ask the original lawyer for another recommendation. You may also ask members of the immigration community for more recommendations. Remember, just because you aren't a citizen of Canada yet doesn't mean you're trapped. You're the one who will be paying your lawyer for their help. You should pay for the person who you trust the most. 6) How Much Will It Cost and How Will They Bill You? Most lawyers will charge you by the hour, but be sure to read the contract before you sign it. You might be charged for court fees or other expenses. Your contract should contain a detailed breakdown of payment. Again, read this carefully before you sign anything. If there are any questions, make sure to ask your lawyer to clarify the point. You're paying for everything, so don't before afraid to find out exactly what you're paying for. Most lawyers will have you pay them or the law firm "in trust." This means that your fees are held in a separate trust account monitored by the Professional Order. If you're not asked to pay "in trust," you should be asking serious questions about the reliability of that law firm. 7) How Frequently Will the Lawyer Contact You? Immigration applications involve a lengthy process. It can take months to years to process, so you're probably not going to hear from your lawyer very often. That being said, your lawyer should be open to communication with you. They should be able to answer your questions, phone calls, and e-mails in a timely manner. That doesn't mean they'll be available to you 24 hours a day, seven days a week, but they won't ignore your attempts to contact them either. Ask your Canadian immigration lawyer about their hours, and what the best way is to contact them. They probably already have a system set up for attorney-client contacts. What Do You Do If Your Lawyer Says They Have "Connections"? If at any point your lawyer tells you that you'll win your case because of their "connections," either in immigration, Refugees and Citizenship Canada, or a particular visa office, run, don't walk, out of that office. Unlike other countries in the world, the law requires Canadian immigration officials to be impartial without any outside influence. This is to make sure the immigration board runs legally, without any corruption or bribery. If your lawyer tries to break this law by using their personal influence to win your case, it could ruin you financially and jeopardize your application. It might be tempting to do this but trust the Canadian immigration system. You'll be okay. Are You In Need of a Canadian Immigration Lawyer? Remember that while you might not need a Canadian immigration lawyer, having one on your side can be extremely helpful. They are working with you on your case, setting you up for success in the Canadian immigration process. If you're in the middle of a complicated family situation, are unsure how to proceed, or if your residency has already been denied, then hiring a lawyer can be the best thing you've done. If you're someone who's looking for a Canadian immigration lawyer, especially if you're trying to locate in the Edmonton area, then click here for information. This entry was posted in canadian immigration lawyers by verhaeghelaw. Bookmark the permalink.